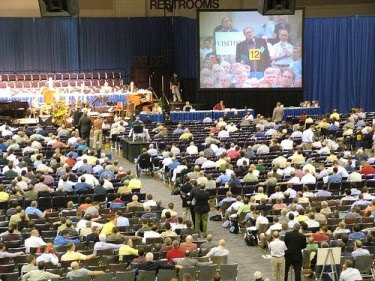 Bring the Books: Is the PCA that Prototypical Denomination? "America in the twentieth century has offered a three-fold ecclesiastical development. "This has created an institutional dilemma for the leaders of theologically conservative, creedal, hierarchical churches. To grow, they apparently have only three choices: to go soft creedally, to go independent, or both. They must position themselves creedally somewhere in between Cotton Mather and The Christian Century. In no denomination has this dilemma been revealed more clearly than in American Presbyterianism, but it has happened in all of the large Protestant denominations. "Are you a well-catechized Presbyterian? If so, you are the member of a tiny minority group. People such as you have been in one of the following situations since 1960: (1) members of a large, wealthy, but shrinking denomination that has been taken over by liberals; (2) members of a medium-sized, officially Calvinistic, and growing denomination that has been taken over at the top by people who are more concerned with Church growth than theology, and who do not make it sufficiently difficult to penetrate by Arminians, neo-evangelicals, Scofieldians, and Baptists who happen to sprinkle babies and who want in on the deal; (3) members of a tiny, hard-pressed Calvinist denomination that Arminians and liberals do not regard as worth the effort to take over. Putting it graphically, you're governed by ministers who believe the editorials in (1) The Christian Century, (2) Christianity Today, or (3) a denominational magazine printed on non-slick paper with no color pictures inside. It boils down to this: you've been sold out to liberals; you're being sold out to neo-evangelicals who will later sell you out to liberals; or you're not yet worth buying. "What you need is membership in a large and rapidly growing Presbyterian Church that is so costly to penetrate by neo-evangelicals that the liberals might as well concentrate on taking over the Missouri Synod Lutheran Church. Sorry; this ecclesiastical product is not only not available at the present time, it is not even in the early prototype stage." My first thought is that the PCA does seem to fit within the second scenario which North points to. However, I would also like to think that the PCA is that prototypical denomination which North seems to dream of. Now, I know that when North wrote this book in the mid-90s he must not have agreed with me. What I am interested in is what others who are closer and more ingrained with the culture of the PCA really think of North's analysis, here. For my part as the newcomer who likes to think of himself as a healthy mix of doctrinaire and piety, the PCA looks like a fortress that no liberal would be able to conquer from within. But the reason why it looks that way to me is that I've spent so long on the yellow brick road, I don't want to admit that Oz probably has some serious problems with its walls; and maybe, just maybe they haven't stationed enough guards around the sewer drains. Personally, I think God is eager to tear down every official denomination or organization we establish in our attempt to preserve the gospel. How many have ever lasted for any significant amount of time? I think its His way of reminding us who controls the spread of the gospel through history. Your post seems to have a healthy perspective on things, Brandon. But I have an Independent Baptist friend who agrees with every word of what you said. If you really believe this, then why are you a Presbyterian? Ah! So you're not a Presbyterian. My mistake. I assumed too much of your loyalty to Clark.